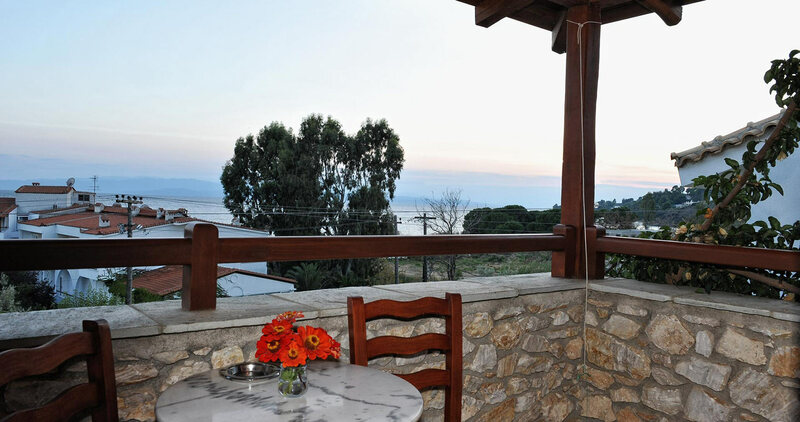 Villa Maraki offers 2 and 3 person studio accommodation in Skiathos. 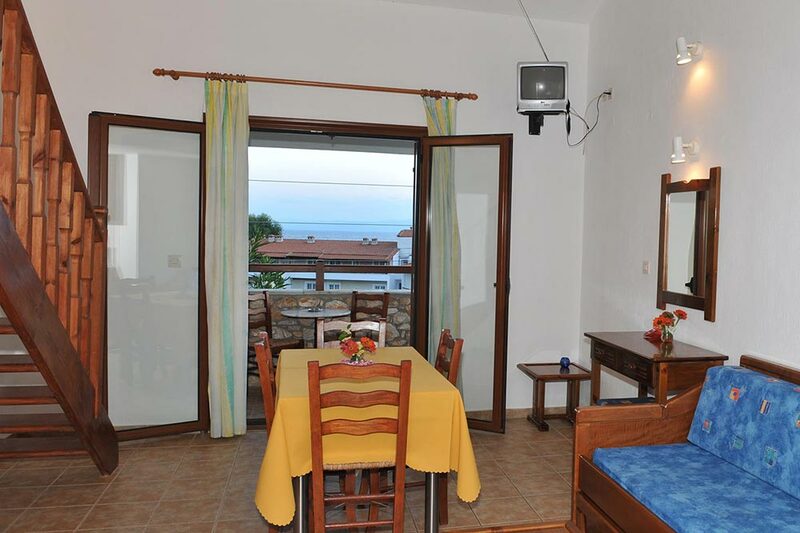 Studios location is ideal for the visitor who seeks to relax and enjoy the sea since Agia Paraskevi beach is only 150m away. 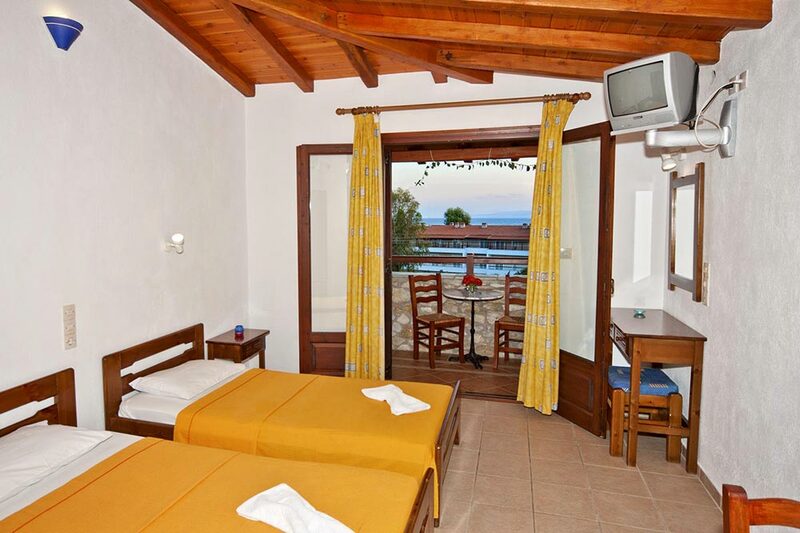 In addition there are nearby shops, taverns and public transportation every 15 minutes for the town of Skiathos (Studios are less than 8.5 km from the Old Town). 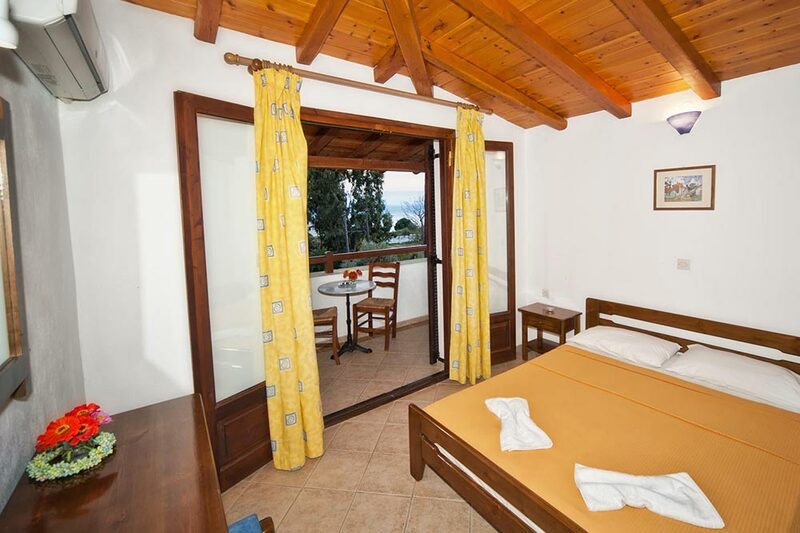 The studios are from 15-25 sqm and consist of a single room which has a fully equipped kitchen, dining room, two twin beds or one double and bathroom.